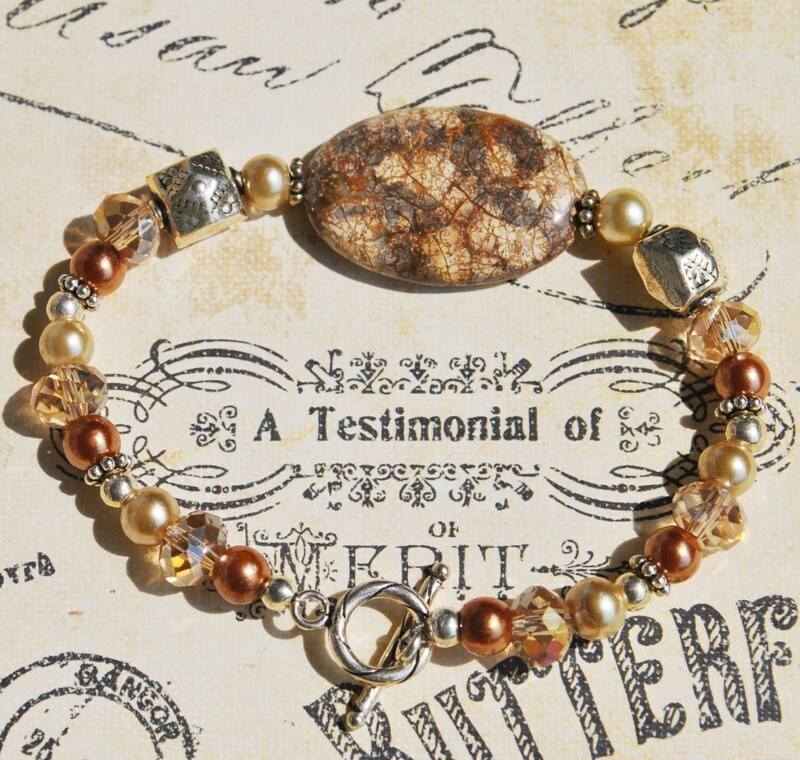 This bracelet set showcases a lovely brown and cream colored Turtle shell jasper focal stone with Bali and round sterling silver beads, and crystals. It is completed with a sterling silver toggle clasp. 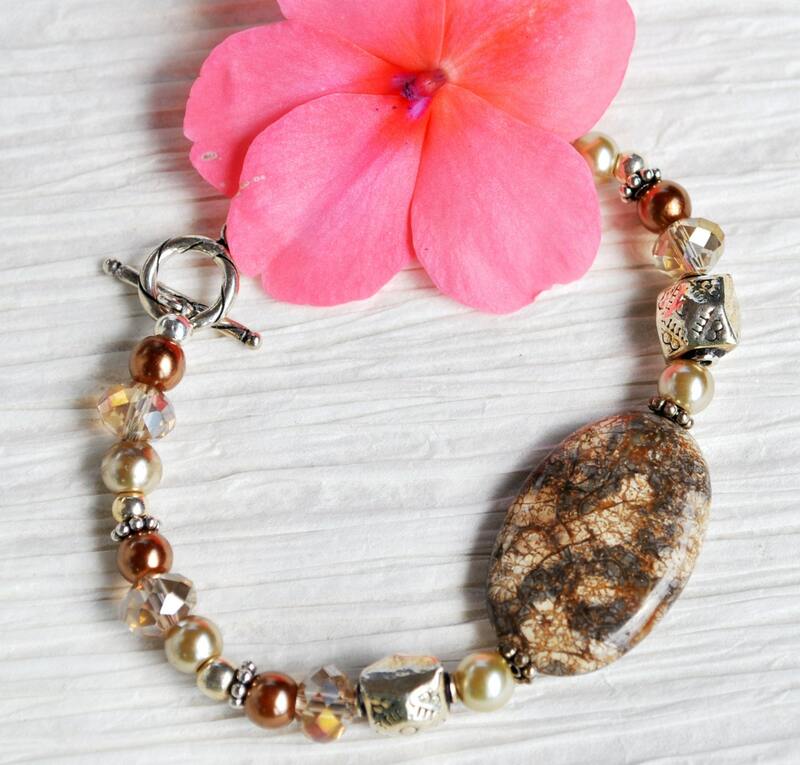 This gorgeous stone bracelet is perfect for dressing up any outfit! Earrings are included. 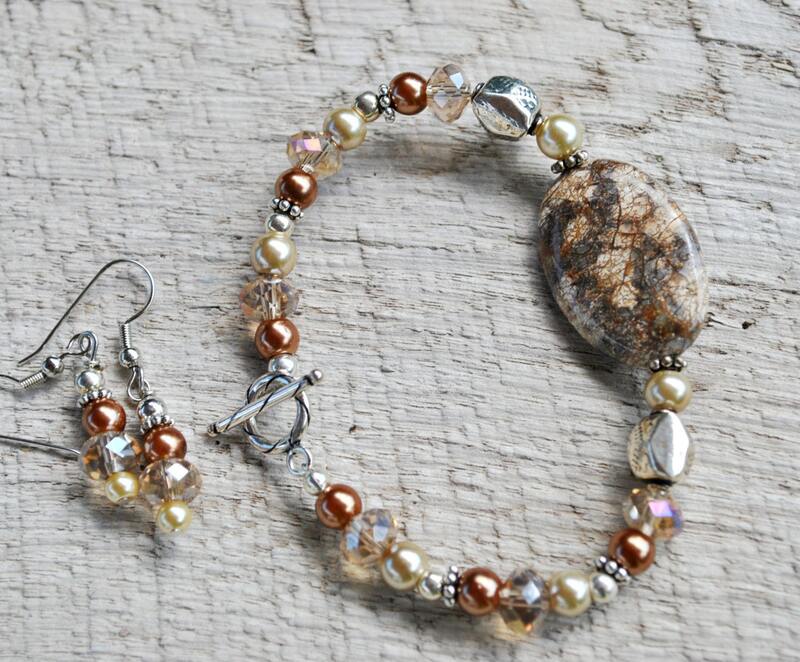 Jasper comes from the Greek word, iaspis, which means "spotted stone." A form of microcrystalline quartz, jasper derives its colorful patterns from other minerals present, and is often named according to its pattern. Turtle Shell Jasper is mottled Jasper that looks like a turtle's shell, with shades of brown, mahogany, gold, peach & orange-red. Like all Jaspers, it is a protective stone with a calming effect, grounding & nurturing. 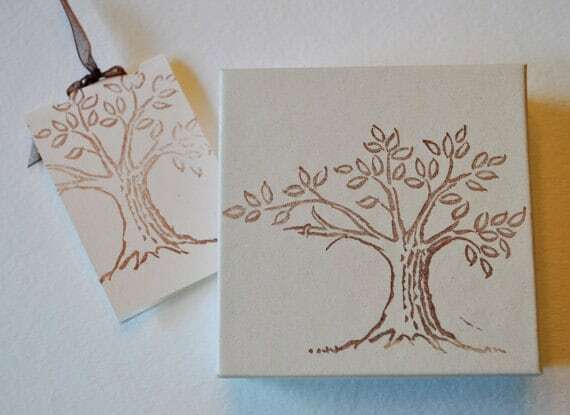 It can help to bring change, & its energy is used for attracting luck & protection. If this bracelet is a gift for an adult or young lady, and you don't know wrist size, we would consider 6 as petite, 6.25 as small, 6.5 as medium, 6.75 as large, and 7.0 as X Large.